October 6, 2014 | LizT. Granted, the Star Wars Expanded Universe is no longer considered cannon. But that doesn’t erase the wonderful stories that came out of it. The Truce at Bakura picks up after Return of the Jedi. Luke is, seemingly, the last Jedi in the Galaxy. Vader is dead and everyone is trying to navigate a world without the Emperor in control. 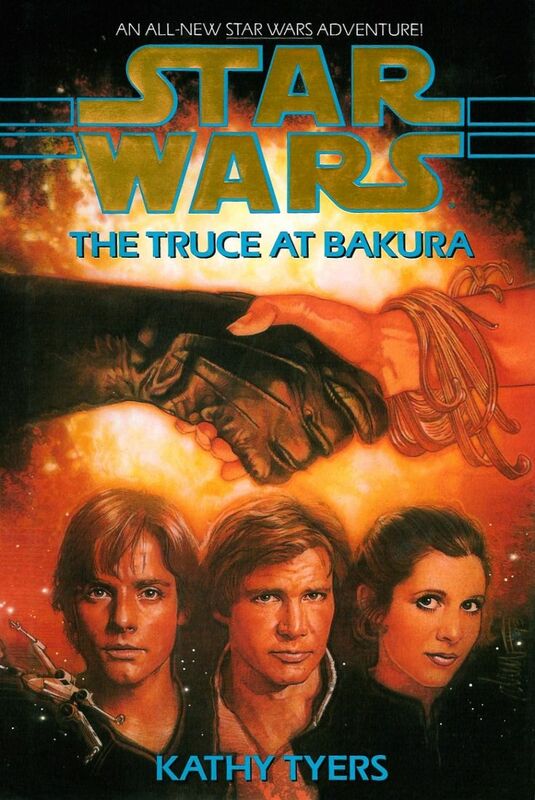 As Leia struggles to accept that Darth Vader was her father, the Rebels send out a small group to try and help the Bakurans as they are attacked by the Ssi-Ruuk, a strange new foe for the Rebellion to fight. This is by no means a new book. It was published in 1994, but remains an excellent and fun addition to the Star Wars Expanded Universe. If you love the adventures of your favorite Rebels and can’t wait till Episode VII comes out, why not read what could have been and start reading all of the Expanded Universe. Not for any other reason than that they are great stories in the Star Wars Universe. Is there any better reason needed? ?